Pandey, who wrote the story and co-wrote the screenplay (with Renzil D'Silva) of the 2006 film, talks to us about setting Bhagat Singh and his values in contemporary India, and the tough journey he went through to get it made. The film was released on 26 January 2006. 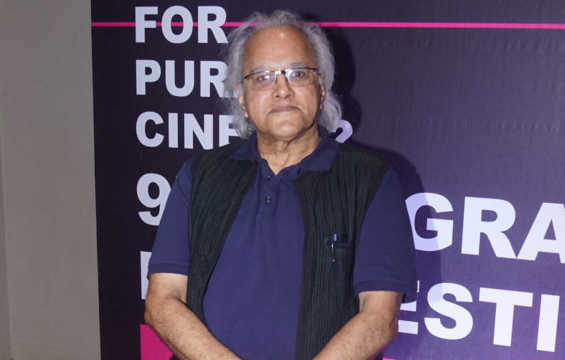 Writer Kamlesh Pandey is synonymous with blockbuster films of the late 1980s and 1990s like Tezaab (1988), Chaal Baaz (1989), Dil (1990), Saudagar (1991), Beta (1992) and Khal Nayak (1993), among others. But there is one film that is a special feather in his cap — the 2006 film, Rang De Basanti, directed by Rakeysh Om Prakash Mehra, which went on to make a lasting social impact on the youth after its release. This was a time before social media. Pandey's story is about five young men from Delhi whose lives and their perceptions about their country change as they act in a documentary film on the freedom fighter Bhagat Singh and his four revolutionary friends. Post the film, many youngsters began expressing their anger towards government and politicians for being mired in corruption and bureaucracy. The idea orginated from one of the books on Bhagat Singh that Pandey read during the early 1990s. 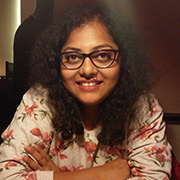 "Manju Singh, a TV producer friend, wanted me to write a TV series on Bhagat Singh and his friends. So she gave me a lot of books. But things didn't work out between us, and I didn't end up writing it. But while reading one of the books, which had letters of Bhagat Singh that he wrote to his father from jail while he was waited to be hanged, there was one line that just zapped me and blew my mind," said Pandey, on the sidelines of the recently conclucded Pune International Film Festival 2019 earlier this month. A month after Rang De Basanti's release, a Delhi sessions court acquitted the main accused in the Jessica Lal murder case due to inefficient prosecution and hostile witnesses. The intense civil protests and media campaigns that appealed for the accused's re-arrest were heavily inspired by the revolutionary protest depicted in the film. Taking a cue from the silent candle-light vigil scene people gathered in hordes for the silent protest at India Gate in New Delhi. "A 22-year-old boy who is going to be hanged soon writes that independence does not mean that white opressors are replaced with black employers. If they did we will do the same to them. If Bhagat Singh had been alive today, and I am talking 1995-97, what would he have done, would he have spared the corrupt politicians today?" he added, about the questions that came to his mind after reading the book. "How to bring Bhagat Singh into the India of 1997? [sic] Hirani did it in Munnabhai, but that's a shortcut. I don't believe in shortcuts. I believe in reality," he says. The idea of contemporary India's youngsters, Aamir, Siddharth, Atul Kulkarni, Kunal Kapoor, Sharman Joshi and Soha Ali Khan transforming into the modern-day Chandrashekhar Azad, Bhagat Singh, Ramprasad Bismil, Ashfaqullah Khan, Durgawati Devi, Sukhdev, respectively was quite an original one. Pandey says it is inspired from the lead actor in the 1936 Marathi film, Sant Tukaram, based on the 17th century Vitthal devotee from the Shudra caste, who went on to become one of the most revered saints in Maharashtra. "I got the idea from Sant Tukaram. Vishnupant Govind Damle was an actor who played the role of the saint, and the film was huge blockbuser. So much so that people started believing that he is Tukaram. So people would bring their kids to him and ask him to name them. They would bring newly weds to seek his blessings. The problem started when Vishnupant also started believing that he is Tukaram. He left his house and started sitting in the mandir. The role took over the actor," shared Pandey. "That is the device I used. After one point the roles of Bhagat Singh, Rajguru, Ashfaqulla Khan, Ram Prasad Bismil and Chandrasekhar Azad take over these boys. Even Durgawati Devi. And they become patriots." But while the idea was exciting, studios and individual producers didn't quite get the concept. It took Pandey six years to find a taker. Pandey recalled some of the hilarious reactions he got from the producers. "One mahaan (great) producer had even asked me who will play the role of Basanti. With a straight face I said we are talking to Esha Deol. I said that the subject is a remake of Sholay from the point of view of Basanti. Since Hema Malini had done it then, this time Esha could do it," he laughed. "We were taking the script to various producers for six years and they all rejected it. They would say 'Oh ek aur Bhagat Singh, who wants to watch that now' because those idiots didn't bother to read my script. UTV rejected it twice, Mukta Arts, Adlabs Films... we got so frustrated that after a point we decided to make a small film. We had even brought on Manoj Bajpayee to play the role that Aamir finally played. Luckily, for us we met Aamir Khan," says Pandey. Aamir found great merit in the concept because so many had turned it down, just like he did at the time of deciding to produce Ashutosh Gowariker's ambitious Lagaan (2001) script. "He was like if people have been rejecting a script for six years, then definitely usme kuch hoga [it must be something]. That's why he is Aamir Khan. He asked me what the story is. I said if Bhagat Singh was alive today what would he do. So he heard the narration. He called AR Rahman and said I am doing this film called Rang De Basanti and you have to do the music," said Pandey. "UTV agreed only after Aamir and Rahman came on board because they had rejected the film thrice. Unki value hai, Kamlesh Pandey ki koi value nahi hai," he sighed. While the film got great reviews and lot of love from the audience, the climax of the film depicting the Indian Army personnel shooting at innocent students stuck inside a radio station drew criticism. Interestingly, the climax was initially supposed to unfold in the parliament, which could have turned out to be even more controversial. "Earlier the climax was supposed to take place at the parliament, but there would have been many issues including logistical problems. That's when Aamir suggested that the climax be set in a radio station. I felt it was a great idea and made the required changes in the script," he says.